This is such a stunning piece of mirrored furniture. 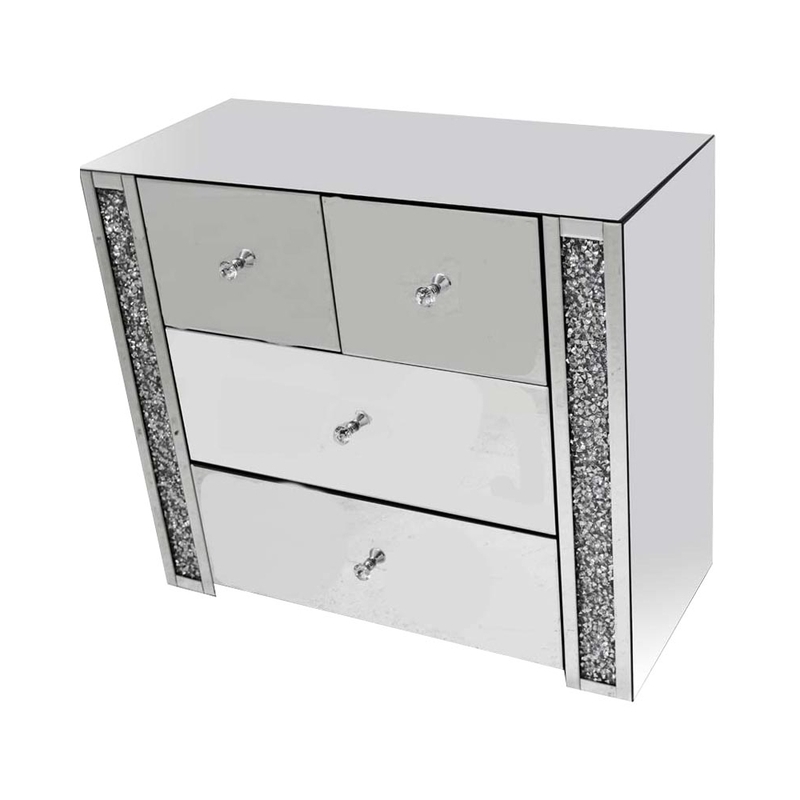 There are a section of two strips of diamond like crystals on each side of the sideboard. There are 4 openings for all the draws and openings of the sideboard. The sideboard is finished in a mirrored glass. They have pretty handles with the sideboard.